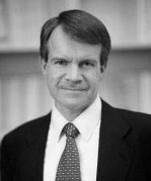 James E. Hogan is a partner working in Dentons' Paris and Baku offices. He is the legacy Managing Partner of the Baku office. Active in international practice since 1984, James has concentrated exclusively on corporate, commercial and natural resource matters relating to the CIS and Eastern Europe since 1988, with particular emphasis on Azerbaijan, Kazakhstan, the Russian Federation, and Ukraine. His experience includes advising major companies on investment strategies, the establishment of joint ventures and cooperation structures, privatisation, licensing and related tax, currency, customs, environmental, governance and other matters. He also frequently advises financial institutions, development banks and investment funds in the areas of investment and secured lending, as well as capital markets work, including Eurobond issues. He is particularly active in the structuring, negotiation and implementation of petroleum, mining and other natural resource projects in Azerbaijan, Kazakhstan, the Russian Federation, Ukraine and elsewhere in the CIS. His experience has included PSAs, service agreements, concessions, oil-field service and drilling contracts, licensing and pipeline and marine transportation issues, including the sale and transportation of LNG. More than 40 international oil companies: Representing clients in relation to petroleum exploration and production projects and subsoil use rights in Azerbaijan, Kazakhstan, the Russian Federation and Ukraine, including the Karachaganak and Kashagan projects in Kazakhstan and the Azeri-Chirag-Guneshli and Shah Deniz projects in Azerbaijan. PETRONAS: Advising on the purchase of a 15.5% interest in the Shah Deniz project and the South Caucasus Pipeline, in a transaction valued at USD 2.25 billion. The Government of Azerbaijan: Advising on the privatization of the 50.2 percent state-owned shares of the International Bank of Azerbaijan. The International Bank of Azerbaijan: Advising on the establishment of the first Islamic banking unit in Azerbaijan. The operator of a major offshore oil and gas project: Advising on one of the largest production sharing agreements in Azerbaijan, including on aspects of amendments thereto, as well as the drafting of the text of a law giving legal force to the amendments. A French construction and engineering company: Advising on a €346 million project for the design, construction and operation of a waste-to-energy plant in Baku. A Czech bank: Advising on US$318 million and US$247 million export credit loans to the Ministry of Transport of Azerbaijan for the financing of highway construction equipment and services related to the reconstruction of the Heydar Aliyev International Airport – Mardakan circle – Bilgah road, backed by a sovereign guarantee. Technika Bank: Representing in the first Eurobond offering by an Azerbaijani institution on international capital markets. The Government of Azerbaijan: Advising on the debut Sovereign Eurobond Offering. An international bank: Advising on the €96 million construction financing for the development of the Baku Hilton hotel complex. A state export credit agency: Advising on various aspects of Azerbaijani law in connection with a US$200 million export credit for the sale of electronics equipment. A local property developer: Advising on contractual and other issues under Azerbaijani law concerning a real estate development on the Caspian seashore. Major property developer: Advising in an ICC arbitration between a major property developer and an international construction company concerning a hotel, residential and commercial office complex. Landesbank Berlin AG: Advising on €57 million and €7.8 million export credit loans for the purchase of a turn-key wind park and related services for the Mitaki wind park project, which was named Deal of the Year 2009 by Trade Finance magazine. The State Oil Company of the Azerbaijan Republic (SOCAR) under an IFI-sponsored program: Acting as legal advisor on restructuring and commercialization. L’Agence Française de Développement: Advising on Establishment Agreements in Azerbaijan, Kazakhstan and Uzbekistan, and various issues of local law. Multinational banks: Advising on derivatives transactions in Azerbaijan and the issuance of ISDA Master Agreement opinions. Confidential clients: Representing US and European companies in the acquisition (privatization) of enterprises in the tobacco, food, pharmaceutical, chemical, telecommunications and consumer products sectors in the Russian Federation, Ukraine, Kazakhstan and Azerbaijan. James is recognized as a leading business lawyer (Mergers & Acquisitions, Oil & Gas) by Who’s Who Legal – Energy and Who’s Who Legal – CIS. He is listed as a leading lawyer in the directories Chambers Global, The Legal 500, PLC Which Lawyer and IFLR 1000. He is recommended in Corporate and M&A and Banking & Finance by Best Lawyers in Azerbaijan. Additionally he is continuously named a leading lawyer by IFLR 1000: Guide to the World's Leading Financial Law Firms and he was recently recognized as one of the most highly acclaimed legal experts in Azerbaijan in General Corporate Practice by Asia law Leading Lawyers. James has also been independently recommended as a Leading Lawyer in Azerbaijan by the IFLR Energy & Infrastructure Guide. He has been selected by peers for inclusion in the Fourth Edition of Best Lawyers in Azerbaijan in the practice areas of: Banking and Finance Law and Corporate and M&A Law. In addition, 2018 edition of IFLR1000 has endorsed James as a “Highly regarded” for Azerbaijan in Banking, M&A, Project finance. James Hogan is recognized by The Legal 500 as one of the elite leading lawyers for seven consecutive years and included in The Legal 500 Hall of Fame 2018. 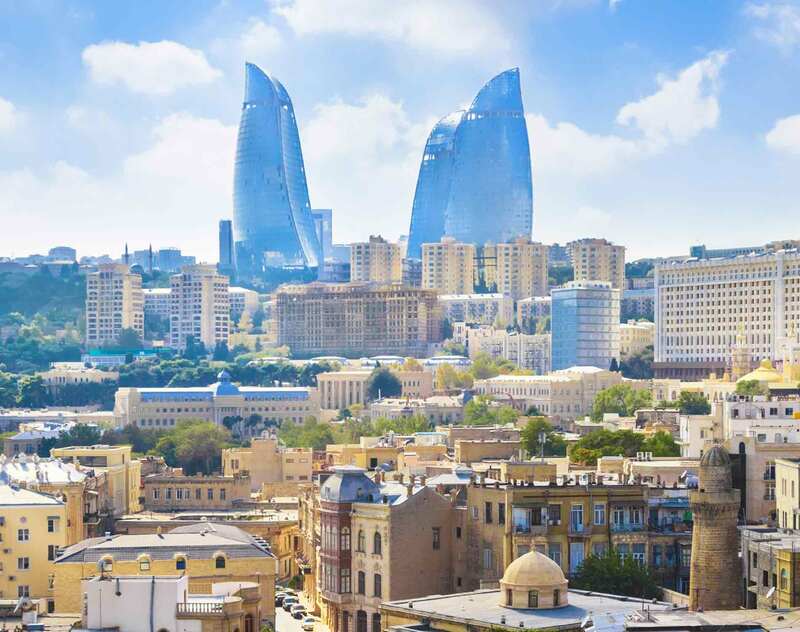 IFLR1000 2019: Ranked as Highly Regarded Lawyer in Consumer goods and services, Energy, Construction and materials, Oil and gas, Mining, Social infrastructure, Natural resources in Azerbaijan and France. The Legal 500 Hall of Fame 2018: leading lawyer in Azerbaijan. The Legal 500 EMEA, 2018: Leading Individual in Legal Market Overview in Azerbaijan. Chambers Global 2018 & Chambers Asia-Pacific 2018: Ranked Band 2 in General Business Law in Azerbaijan; "They co-ordinate with each other and us and are efficient to work with," a client reports." IFLR1000, 2018: James Hogan endorsed as a “Highly regarded” for Azerbaijan in Banking, M&A, Project finance. The Legal 500 EMEA 2017: Leading Individual in Legal Market Overview in Azerbaijan; described by clients as a "really smart professional." Who’s Who Legal: Energy 2016: James Hogan was listed as a leading energy lawyer in Who’s Who Legal: Energy 2016. IFLR1000 2017: James Hogan recommended as a Leading Lawyer in “Financial and Corporate” and “ Energy and infrastructure” by the IFLR1000 - The Guide to the World’s Leading Financial Law Firms. Chambers Global 2017 & Chambers Asia-Pacific 2017: Ranked Band 2 in General Business Law in Azerbaijan. IFLR1000 2016: James Hogan recommended as a Leading Lawyer in “Financial and Corporate” and “ Energy and infrastructure” by the IFLR1000 - The Guide to the World’s Leading Financial Law Firms. Chambers Global 2016 & Chambers Asia-Pacific 2016: Ranked Band 2 in General Business Law in Azerbaijan. Who’s Who Legal: Energy 2015: James Hogan was listed as a leading energy lawyer in Who’s Who Legal: Energy 2015. Chambers Global 2015: Ranked Band 2 in General Business Law in Azerbaijan. IFLR1000 2015: James Hogan recommended as a Leading Lawyer in “Financial and Corporate” and “ Energy and infrastructure” by the IFLR1000 - The Guide to the World’s Leading Financial Law Firms. The Legal 500 EMEA 2015: Leading Individual in Legal Market Overview in Azerbaijan. "Dentons advises Petronas on one of its largest acquisitions"
He has published numerous articles on foreign investment and energy in Azerbaijan, Kazakhstan, Russia and Ukraine and is a frequent speaker at international conferences. ""New Law On Licenses and Permits is signed," Client Alert, April 26, 2016"
""Presidential Decree on Construction and Infrastructure Projects in Azerbaijan," Client Alert, April 28, 2016"